I love your fabric pull. 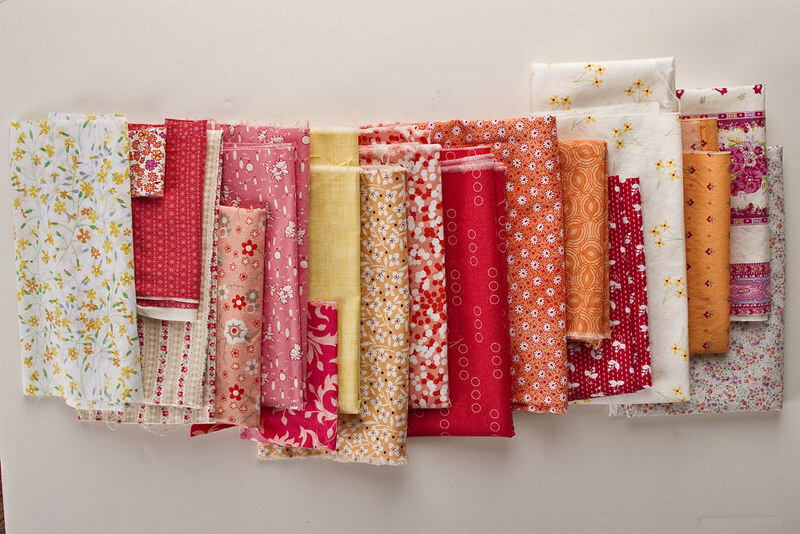 9 years ago when we first started trying, I daydreamed about wonderful baby girl quilts in orange and pink. I got two boys instead, but not to worry– pink is my 5 yr old’s favorite color and he is very opinionated on the fabric I choose for anything. Our son went through a pink phase as well; we’ve got the pictures of him pushing the hot pink dolly stroller he wanted so bad…then once he was in school came the anti-pink/purple/flowers/hearts phase where all things girl were shunned. Now at 10 1/2 he’s kind of evened out- the only sheets we had to put on his bed this week have big flowers all over them and I haven’t heard any complaints 🙂 Another friend of mine who has two boys has recently started making all the girly stuff just for herself… why not? Such pretty fabrics! I look forward to seeing your progress on this. Thanks! I’m hoping this one will move along at a good pace and be ready for baby’s appearance in early spring! 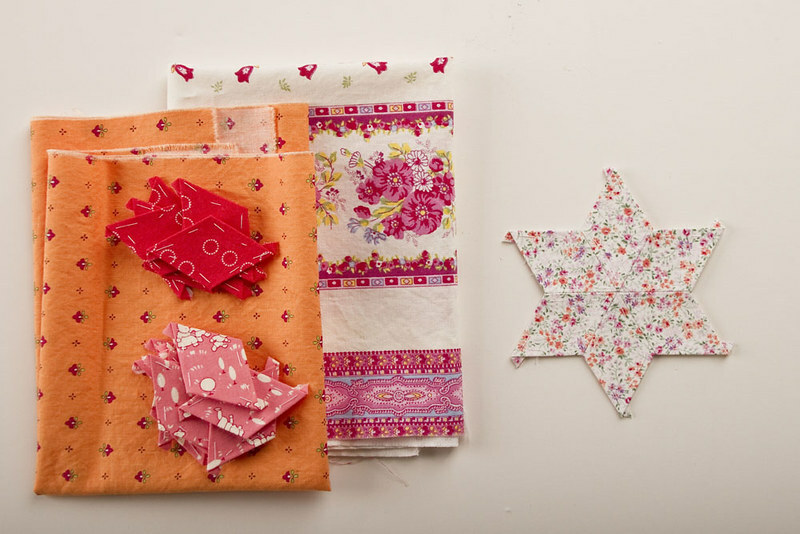 Love your star start…that fabric is so pretty and the fabric that you have pulled to go with this is just lovely. Thank you! I”m excited for this one! I love that new mini floral, too. And your peachy color combo would go well with your coloring as well… and I hope your little girl will look like you! Looks great and a new EPP project is always exciting to see. Thanks Frederick. What are you working on these days? So true, although I’m working on an orange and red quilt at the moment for my boy. Not too different really! I can see how you would fall in love with that. I’d have a hard time not throwing in a few purples too. How big are your diamonds? oooh, that shade of orchid-purple is very appealing to me, too… hmmm … These diamonds are 1.5″ but I’m using a range of sizes from 1″-3″ for the project. maybe a few hexies too , we’ll see. 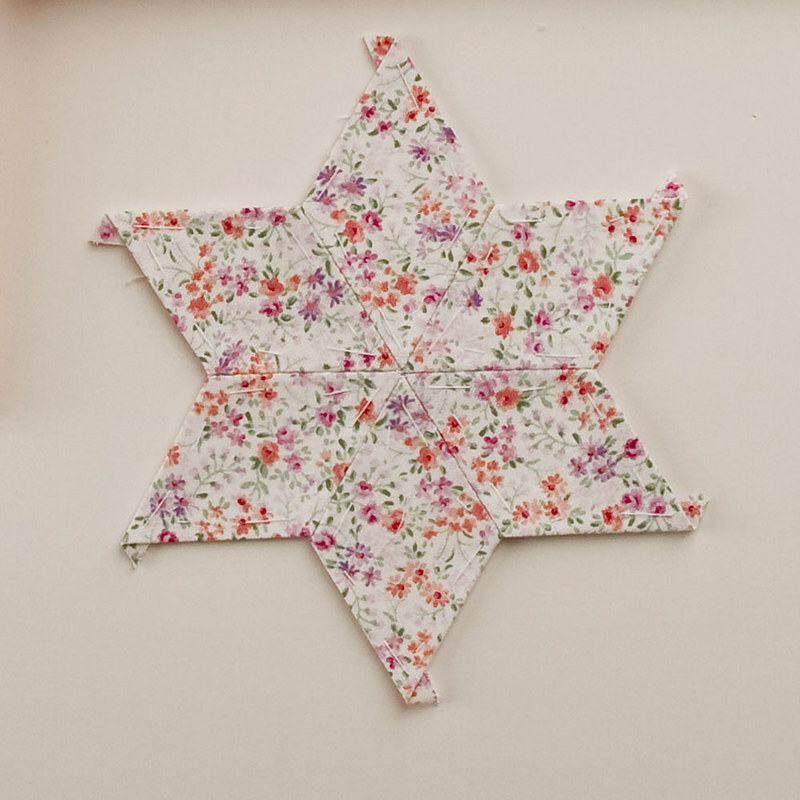 I love the fabric you’ve pulled together, especially the floral star! Sometimes I think picking out the fabric is the hardest part; I’m inspired by your choices. I love the fabrics and I can see why you fell in love with the floral print! 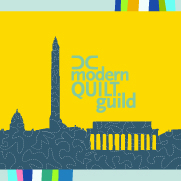 I can’t wait to see your project come together and your new little one will adore it! Congratulations on Little Miss Princess! She’ll look lovely in this quilted confection.